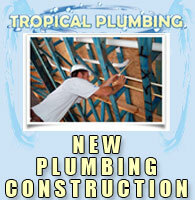 Tropical Plumbing is the most respected and trusted Plumbing Company in Orlando Florida because Tropical Plumbing performs quality work and gets the job done right for Central Florida Plumbing customers the first time. If you need a Plumbing Repair, New Construction Plumbing, want to Upgrade your Kitchen or Bathroom, install Plumbing Fixtures, need a Septic System, Water Treatment System or want to improve your water quality with a Monthly Water Treatment Service, Tropical Plumbing is the Orlando Florida Plumbing Company to hire. 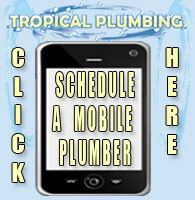 Call Tropical Plumbing today at 407-568-0111 and be sure to mention that you visited Tropical Plumbing.com.